Five years ago I moved to China after having married into a half-Chinese family and 20 days of intensive Chinese language classes. Three years ago I moved to India after having both studied and lived in the country before. 6 months ago I moved to Italy after…a few dozen childhood meals at an “Italian” restaurant called Grazies in Northern Wisconsin? They were well known for the BBQ chicken quesadilas and “gourmet” Mac n’ Cheese so, yea. There was that. I did read about Italy, I did log several hundred hours on Duolingo, but never have I landed in a country feeling so unprepared. Italian culture is lively and beautiful but, at least here in the North, it is also somewhat formal and a bit parochial. There are social mores to be observed and rules to be followed. Which is true of every place on the planet; but, for a variety of reasons, daily survival requires a much deeper relationship with the local culture here in Italy than it did in either China or India where there existed all sorts of infrastructure to keep expat communities afloat. I’ve felt clueless and out of place a million times since we’ve arrived. Six months in, I still feel like I need a ticker celebrating the “number of days we’ve been gaffe-free” like the “number of days we’ve been accident free” signs you sometimes see at construction sites. I haven’t written much about daily life in Milan mostly because I haven’t felt conversant enough about it yet to comment without errors. I have speak almost no Italian and, especially compared to my friends who’ve been living here for decades or who’ve married Italian men and raise Italian children, I have so much to learn. But I am learning and with the World Expo in Milano this year and the New York Times ranking Milan as the #1 travel destination for 2015, I’ve been thinking a lot lately about what I would tell a fellow American about Milan and our Italian experiences. After a loooong slump, I have a slew of blog topics on my brain. 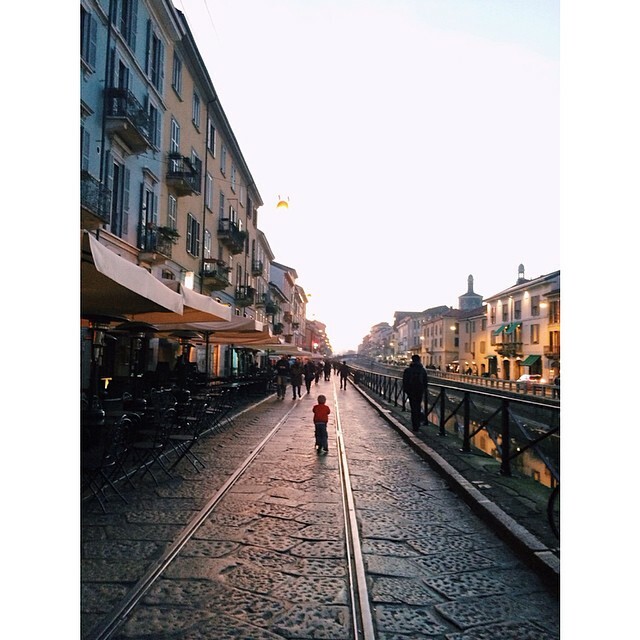 I’d like to write about all of the things we like about living in Milan. I’d like to write about when, where, and how to pay for your coffee in a cafe, (because there can never be too much of this sort of information on the internet for people like me) and what Italian babies eat (lots of parmigiano-reggiano) and the neighborhood bars, and where to find the best bread and the best pasta and how the Milanese manage to stay so thin eating brioche for breakfast and 2 scoops of gelato for an afternoon snack (actually, I don’t know the answer to this one but I think it’s an insane amount of housework and a lot of walking in heels). Is there anything I’m missing? Any other topics you’d like to hear about?